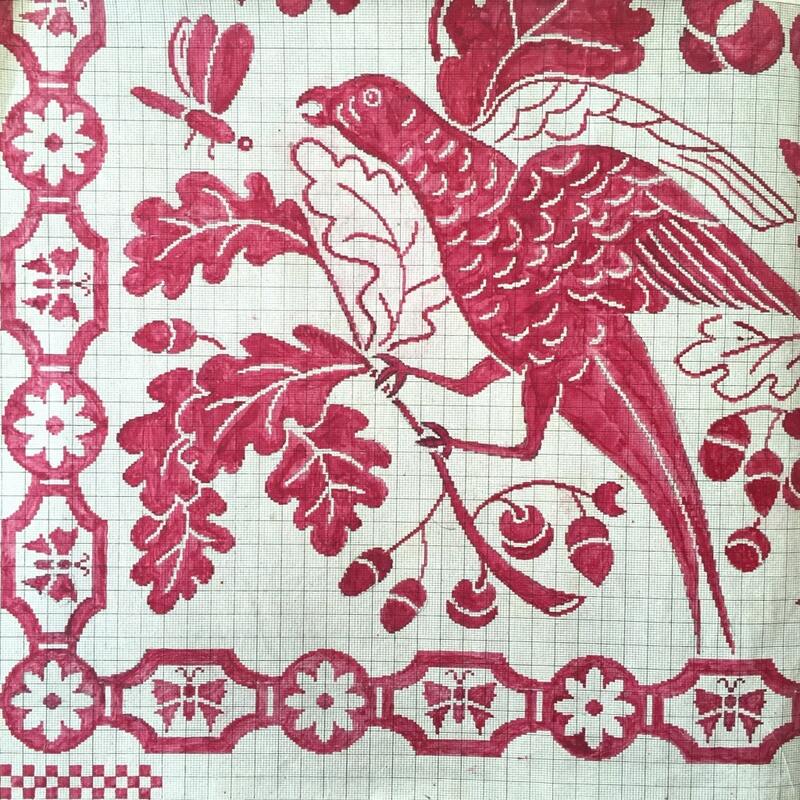 Off white / beige graph paper with a bird snake and floral design with border or butterflies and flowers pattern, which has been applied in gouache red water colour paint. With artists hand writing and pencil marks these are beautiful. 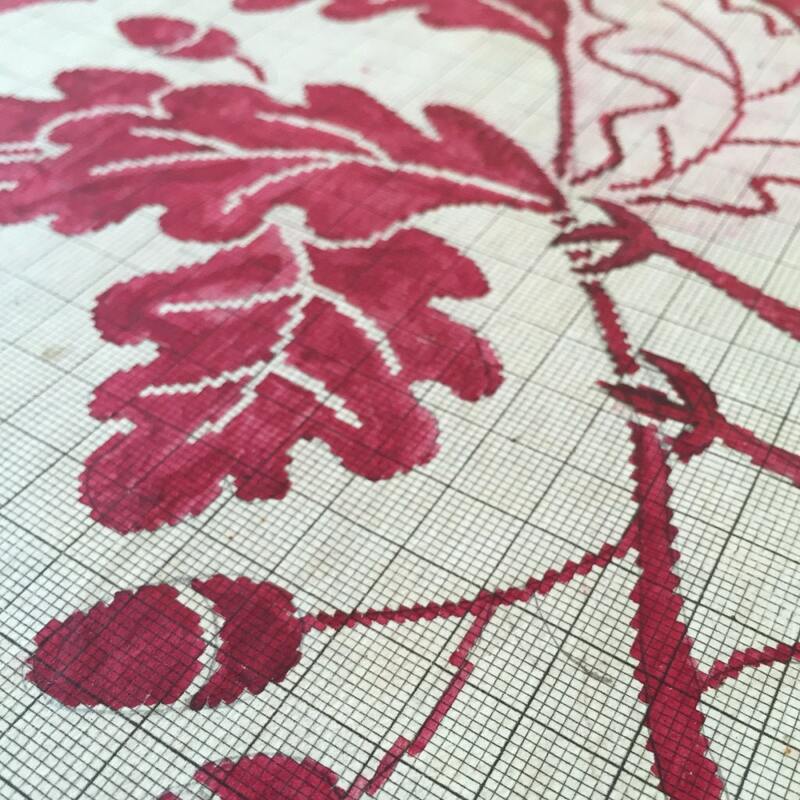 Would look fantastic framed for home interior or use for an authentic sewing project. 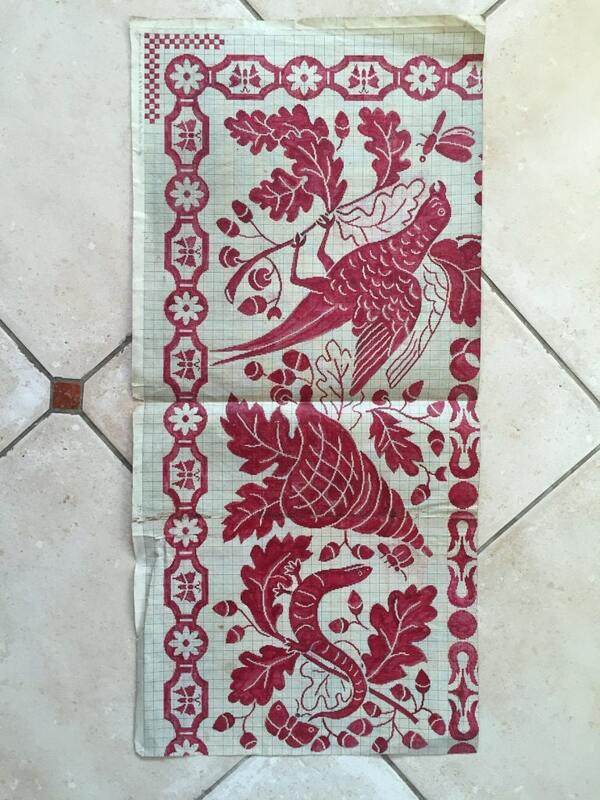 Recently rescued from a Parisian manufacturers storeroom. 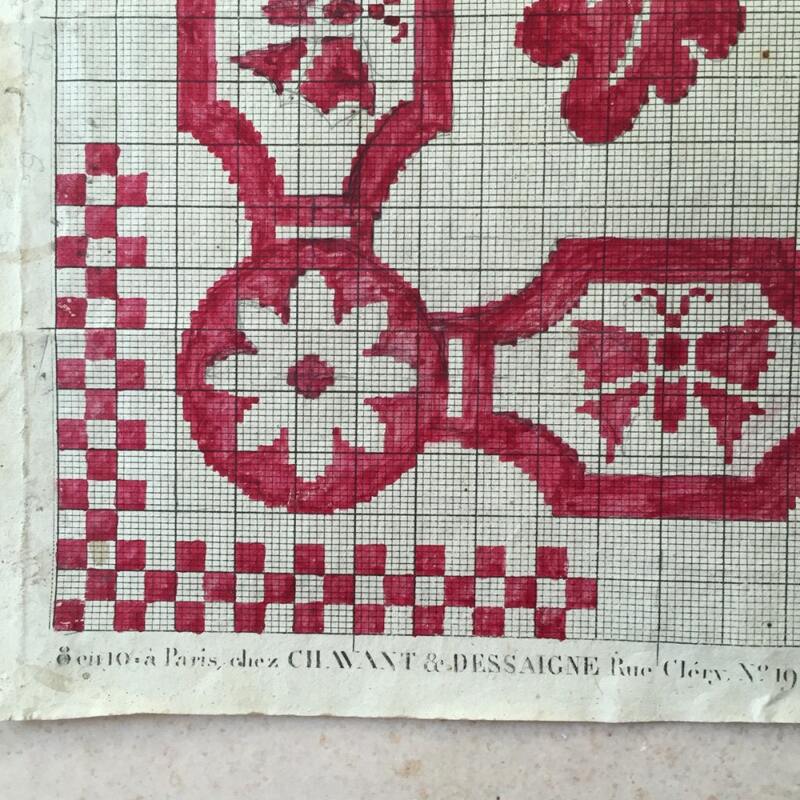 These Original 19th Century Damask Weave designs for scarves, serviettes, tablecloths and wall hangings, were hand painted between 1850 and 1890 by artists from various areas of France. Measures 81 x 39 cms or 31.8 x 15.35 in inches. Photos act as part of the description, please see photos of details of wear. 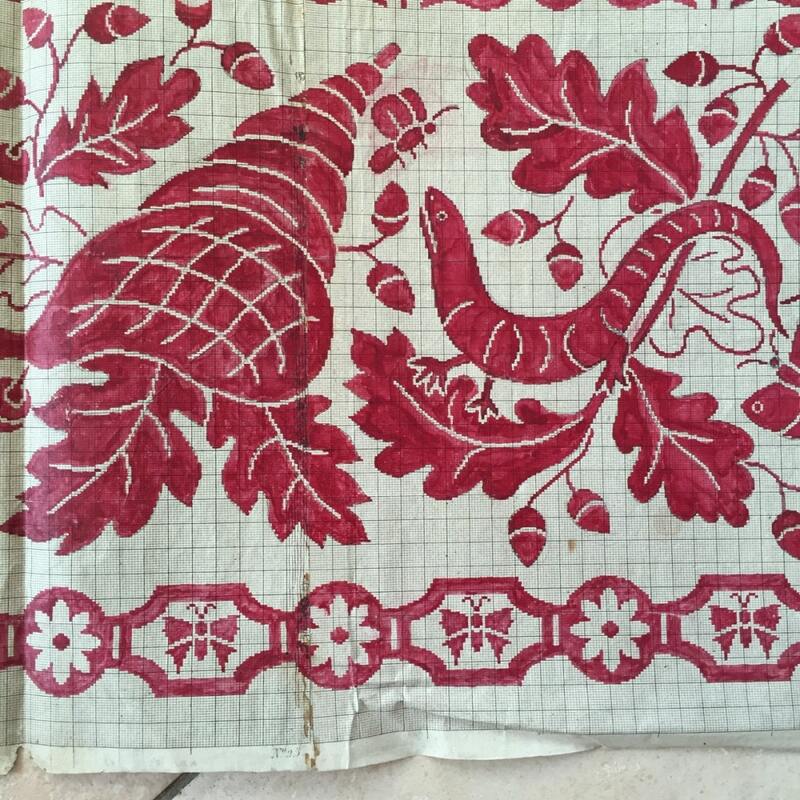 Beyond France is a vintage linen specialist, sourcing beautiful fabrics from across Europe and Eastern Europe, along the way finding wonderful homeware treasures like this one.